The headpiece is made of natural feathers. The feathers are attached to the carcass with flexible edges for the ballerina's convenience. Perfectly fits all coiffures. 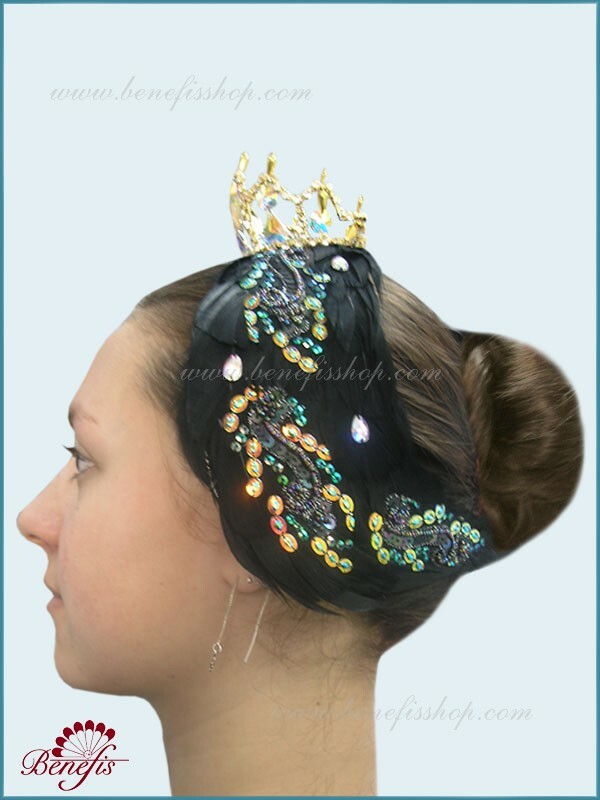 The tiara is attached to the head piece with safe fastenings. Tiara can be gold or silver. 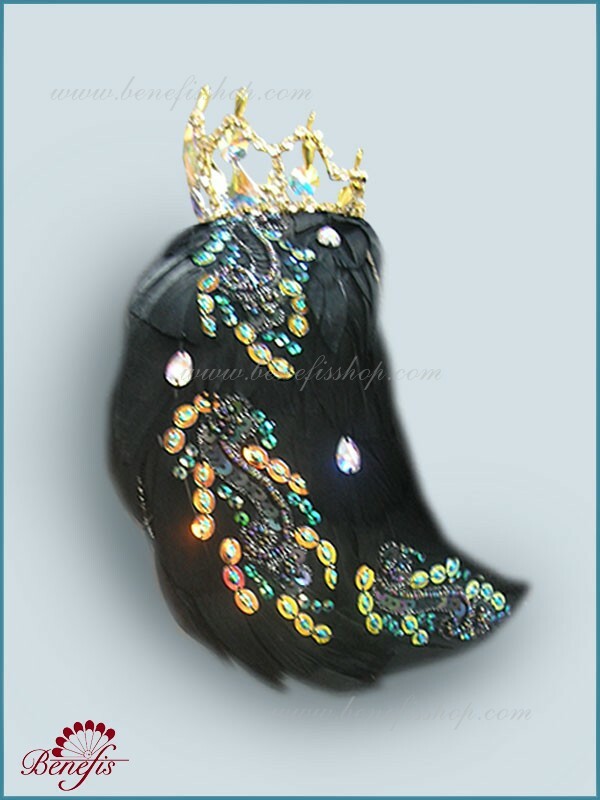 This headpiece is generally used for the role of Odile in the "Swan Lake" ballet.